. 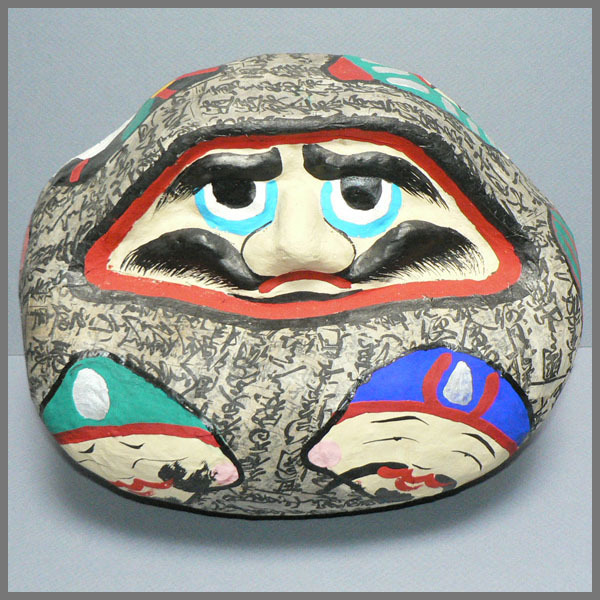 Chiba Folk Art - 千葉県 - Introduction . 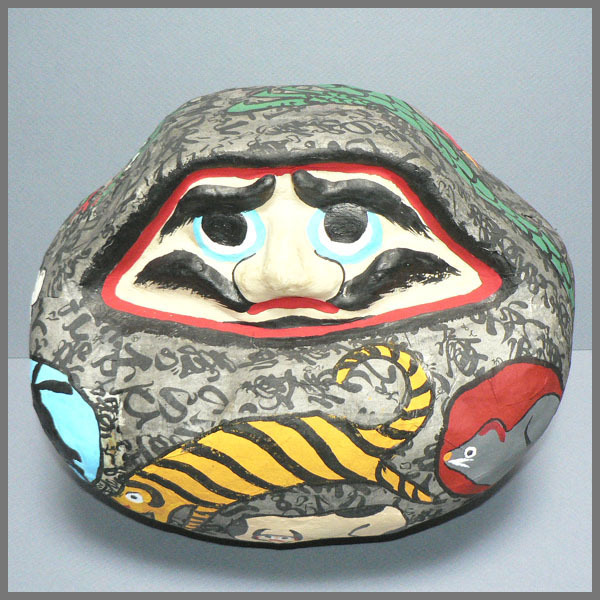 They are made by 松本節太郎 Matsumoto Setsutaro, who makes all kinds of dolls from local clay and paper, 下総玩具 Shimofusa gangu toys. He has produced more than 1500 dolls. Before settling down at his shop, 根戸工房 he roamed the area as a kind of homeless wanderer. He used to pack his rucksack full of dolls, travel to downtown Tokyo and sit by the roadside or at a temple ground during a festival to sell them. He made kubi ningyoo 首人形 head dolls and kashiwa hariko 柏張り子 papermachee dolls in the Kashiwa style.
. Reference - "古書だるま" .
. gangu 玩具　伝説, omochcha おもちゃ toy, toys and legends .